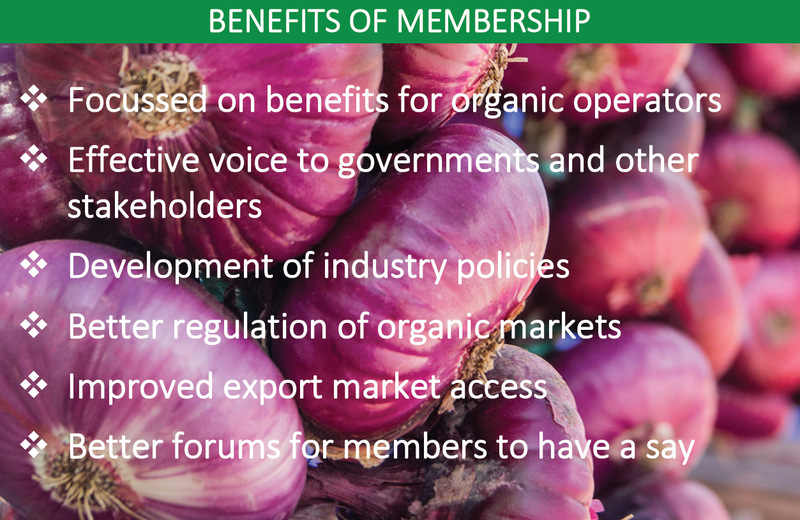 There are two categories of membership—Full Membership for certified organic operators and Associate Membership for others. Membership is only $10. Foundation Memberships are also available for a limited time for $250. Australia’s reputation on the global stage is solid. Clean, green manufacturing and stringent organic certifications have ensured that we live up to our reputation as a land of beauty rich and rare. No small part of this owes to our geographic isolation – and this is both our greatest challenge and our greatest opportunity. Australian businesses are commonly unaware of the demand for their products, how to get those products into the right hands and on the most lucrative shelves. Combined with cultural nuances that sometimes seem hazy at best; as a nation, too many opportunities are passing us by. There are many ways to tackle this problem, but the most direct by far is to go to market yourself. This offers a number of advantages – from the chance to form timely and accurate insights, to the ability to build long term productive partnerships. Of course, it’s much harder (and the progress potentially much slower) if you go it alone. Seeing this need – and this opportunity – Export Connect and Organic Industries of Australia set out to deliver an intensive Organic Market Visit Program for six brave Australian organic companies to travel to Singapore and Hong Kong together. The program, which concludes on 10 September with an insights forum, combines market research; competitor analysis; supermarket visits in August 2018; and meetings with buyers from retail, distribution and eCommerce channels. Supermarket visits provide an opportunity to gauge marketplace trends for yourself. In this way, you can better understand the types of products currently on shelf, packaging, merchandising; and thus the opportunities in each market. We chose to target high-end supermarket stores as well as smaller neighbourhood shops and boutique stores that specialise in healthy and organic products. In this way, our clients would be able to form a comprehensive overview of the various stores, prices and people in each market. In addition to supermarket visits, we outlined products of interest which were already on-shelf and online in each market for our team, from price on-shelf to product claims. This in-depth analysis aided our clients in creating an export price list and pitch to present to buyers during their curated in-market meetings. Our first full day in both Singapore and Hong Kong was packed with supermarket visits to ensure that our team would have a good understanding of the market and their competitors before their appointments with buyers. We want our team to be as prepared as possible to answer any questions buyers may have. These questions might range from their product’s suitability in the market, to its ability to be promoted in the market. In each city, we visited 8-10 supermarkets. Singapore saw visits to Fairprice and Fairprice Finest, Supernature, Brown Rice Paradise, Marketplace by Jasons, Little Farms, Cold Storage and Four Seasons Organic Market. Some of our clients already had their products in stores, which was a real treat for them – some for the first time – to be able to see their products on shelf in an overseas market! In Hong Kong we visited Marketplace by Jasons, Wellcome, Park N Shop, Taste, ThreeSixty, CitySuper, Oliver’s, GREAT Food Hall, Just Green Organic Convenience Store and The Store. Only on-the-ground research, inherently up-to-date, can provide the most nuanced and relevant insights. We noted, in particular, certain differences between supermarkets in both markets. Singaporean supermarkets and stores showed a strong organic/health food focus with many stores offering an organic-only section in their store. A majority of the smaller stores stocked more organic produce and functional foods than conventional produce. In Hong Kong, however, we noticed that there was not as much of a focus on organic food. While some supermarkets did stock organic produce and had dedicated organic sections, these sections weren’t as extensive as those in Singaporean supermarkets. Interestingly, some health and organic food specific stores were much smaller in scale and focussed primarily on online e-commerce websites for traffic. These stores were usually located in areas with a large population of expats and were stocked with international brands of health food, snacks and supplements. The future of Australian organic food manufacturing is bright. With golden soil and wealth for toil, the only thing between us and our opportunities is an aeroplane, an itinerary … and a strapping tour guide, to advance Australia fair. To celebrate Organic Awareness Month, we will be providing more market insights from this trip – keep an eye out! And remember to book into our Organic Food Exporters Forum in Melbourne on 10 September. For those wanting insights beyond the organic space, Singapore and Hong Kong; we are also running a Food & Beverage Exporters Forum on the same day, looking at markets such as North America, China, and the Middle East; covering categories such as cereals, snacks, biscuits, beverages and baby food (to name a few). Today, in an expression of unity at the Love Organic symposium in Canberra, Australia’s organic industries agreed to establish a new peak body that is the voice for Australia’s organic industries in regard to policy and market access. Organic Industries of Australia is an incorporated association that will now perform the functions of the Australia Organic Industry Working Group (AOIWG) as a forum for consulting with Government on policy matters. The new peak body will also work with all organic leaders to consider various options for the establishment of a permanent peak body. These options include merging functions with Australian Organic Ltd, merging with the Organic Federation of Australia, and considering other actions to demonstrate unity of purpose across all certified organic operators. The independent chair of the AOIWG, and the President of the Organic Industries of Australia, is Greg McNamara. He said ‘as a rapidly growing and diverse industry, spanning food and cosmetic production, manufacturing and distribution, one common vision has emerged: “To create a unified voice for Australia’s organic industries to negotiate policy reforms with Governments and that helps the industry capitalise on the growing global demand for organic products”’. This vision was endorsed by all industry delegates. 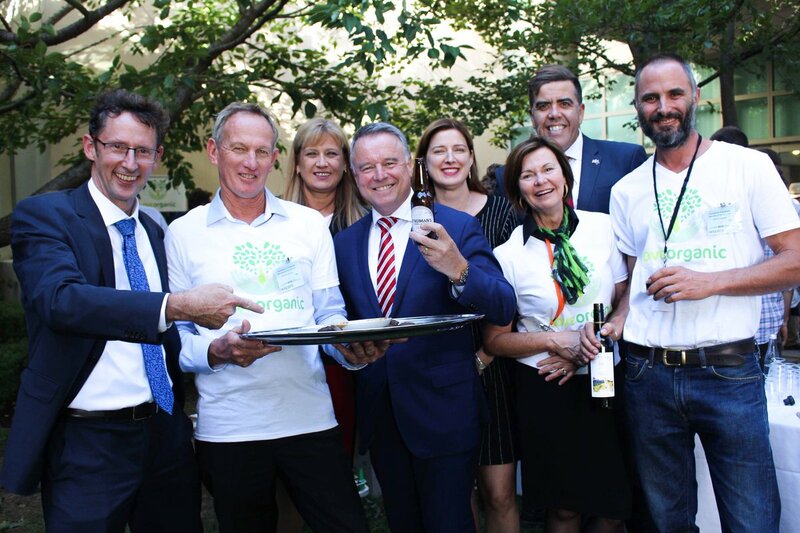 Last night, Parliamentarians enjoyed a delicious BBQ and beverages at a Love Organic event hosted by the Parliamentary Friends of Primary Industries. The Prime Minister, the Hon Malcom Turnbull MP, addressed the gathering and acknowledged the importance to the Australian economy of the organic sector and the growth in organic production and exports. The industry welcomed the opportunity to celebrate its world class organic produce and its unified purpose to represent all certified organic operators. There will be an opportunity over coming months for all organic operators to have their say on the work of the peak body. 140 industry delegates attended the Love Organic symposium in Canberra on 14 & 15 February. The symposium considered issues around establishing a unified peak body. The Australian Organic Industry Working Group was a collaboration of industry leaders from across Australia collaborating on establishing a harmonised national voice for all organic producers, certifiers and the supply chain. AOIWG is replaced by Organic Industries of Australia, an association incorporated in NSW. This form is to receive newsletters only. You can create an account to comment in our forums or apply for membership here. Organic Trust Australia was set up to manage funds received from private and public sources for research and education in organic agriculture in Australia.